Are you dragging through the day so exhausted you can barely stand it? Here are some simple, yet effective, ways for how to get more energy. Getting a good night’s sleep nowadays is about as rare as finding buried treasure. Between work, kids, kids’ extracurricular activities, and that never-ending to-do list, a truly good night of sleep is hard to come by. This can result in an overall lack of energy that can make day to day life incredibly difficult. So here are a few tips on how to get more energy on the days that not even coffee can wake you up. 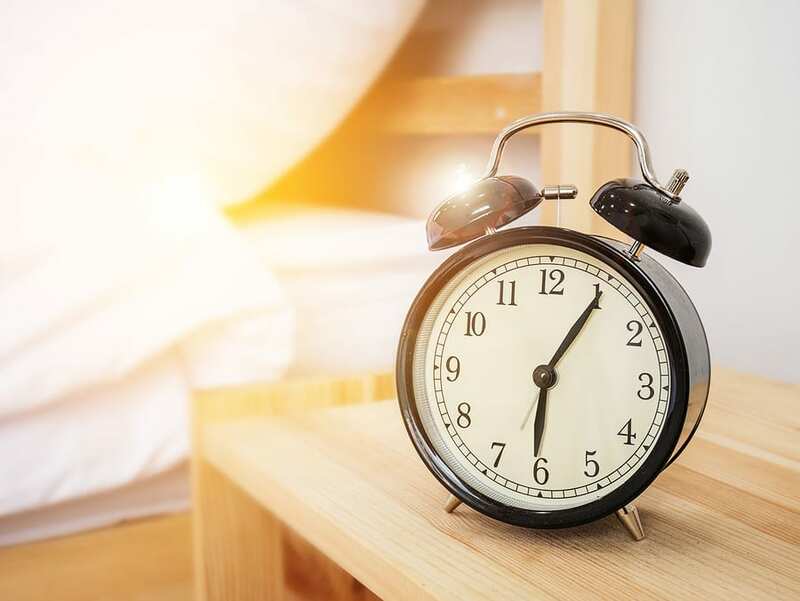 I know it’s tempting to hit that snooze button over and over, but while it seems like you’re getting more sleep, it won’t feel like it. Falling back asleep interrupts your circadian rhythm, the natural, 24-hour sleep and wake cycle our bodies go through. So while you got 6 or 7 hours of sleep, falling back asleep and waking up 15 minutes later will make your body think you only got 15 minutes! It’s actually better to not use an alarm at all and wake up when our bodies awake us. So if you wake up 15 or 30 minutes before your alarm, don’t go back to sleep. That’s your body telling you you’ve gotten enough sleep. One of the best ways to fully wake up in the morning is to expose yourself to light. That can mean opening your window as soon as you wake up, or going for a short morning walk. 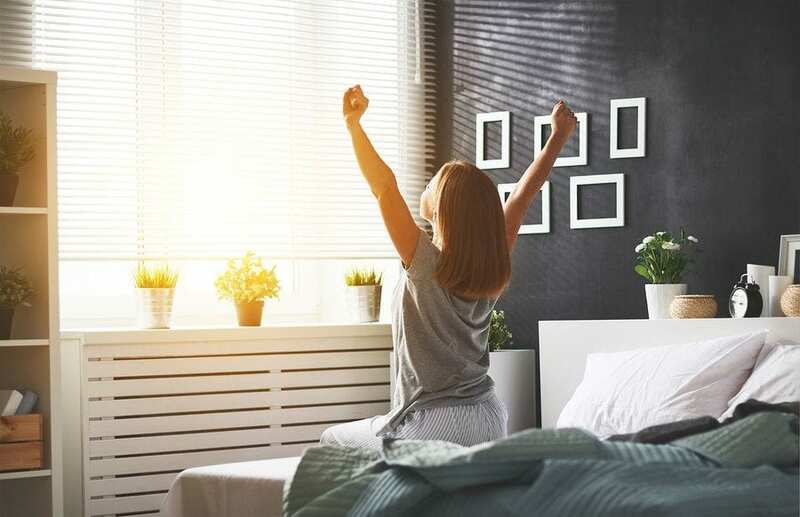 Exposing yourself to light and movement in the morning will help your body wake up. If you wake up and it’s still dark outside, get up immediately and turn on the lights. I’m sure it’s no surprise that exercise increases energy. In fact, it can increase energy as much as 20%! This can be especially beneficial right when you wake up. I’m not talking an hour at the gym or a 30-minute run. Try a 10-minute brisk walk around your block every morning for a couple of weeks and see how much more energy you have. If you tend to work in your bedroom, it can easily become associated with stress and that can make it harder to sleep. Dedicate your bedroom only to things that relax you, such as watching your favorite TV show or reading a book. That way, when you enter your room, you don’t immediately become stressed. Try working in the dining room at the table or the couch in the living room so that you’re keeping your bedroom stress-free. It’s tempting to grab a coffee and a muffin in the morning and just go. That’s the quick and easy thing to do and sometimes, we don’t even think twice about it. This caffeine and carb boost will help you feel more awake faster, but the more time passes, the more tired you’ll feel. This is because all you’ve had is caffeine and carbs, which will cause a crash mid-afternoon. Try eating a well-rounded, quick breakfast of scrambled eggs, spinach, and some toast with avocado. Do you have any tips or tricks on how to get more energy? I started with eating a better breakfast and going for a walk every morning, which has skyrocketed my energy level. Sometimes it’s the simplest changes that can make the greatest impact on how we feel. These are great! I’ve go a few of them down, but have to wake up early, so natural light, and no alarm clock are out of the question. But I definitely need to get more exercise in my routine and keeping my bedroom stress free. Great tips. I am such a fall back to sleeper. Oh the kids aren’t up yet…let me get another 20 mins! I ‘ll try not too..but my bed is just too cozy. Okay, I’m totally trying some of these tomorrow morning. I’m trying to work on the whole “not falling back asleep” thing, but it’s so hard! Thanks for the tips! Brilliant – thanks! (Love the pic at the top!!) SO agree with not falling back to sleep… however tempting! It makes such a big difference! I have read hitting snooze is the worst thing you can do, I always do it though! ha! I have to agree with these, especially not going back to sleep and hitting snooze!